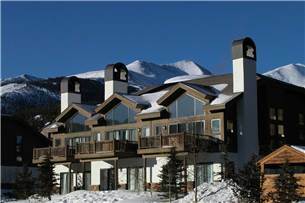 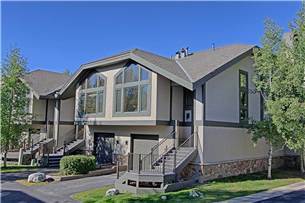 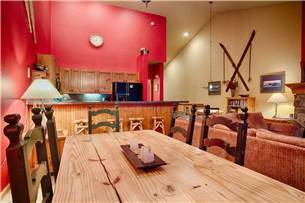 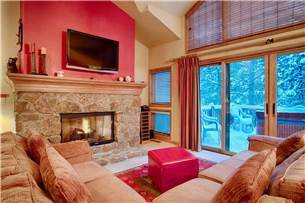 1 block from downtown & ski lift! 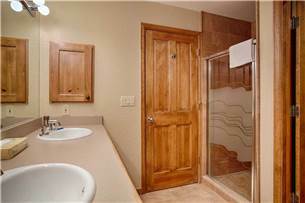 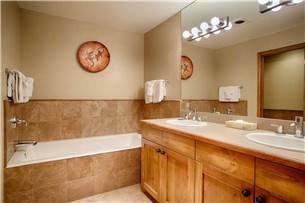 Private hot tub + heated garage! 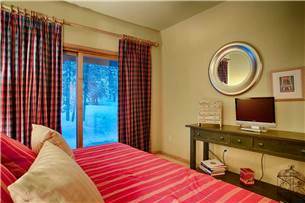 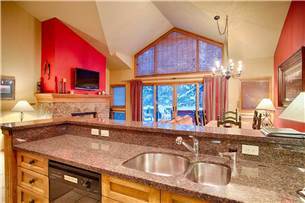 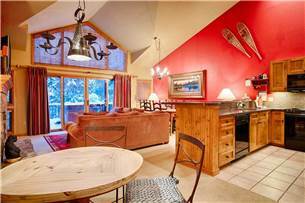 This elegant three bedroom townhome is located just one block from both the chairlift and Main Street, offering the best of both worlds. 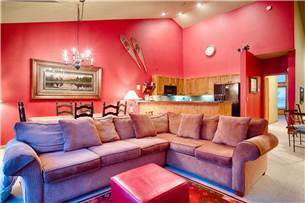 This townhome features beautiful furnishings and a spacious open floor plan. 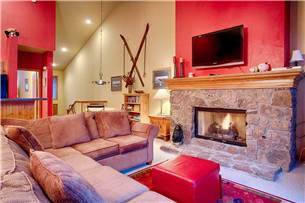 Mounted above the rock fireplace is a large flat screen LCD TV. 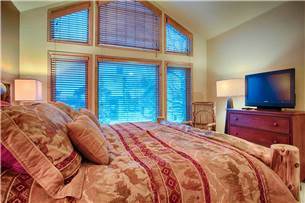 The master and second bedrooms also feature their own LCD TVs. 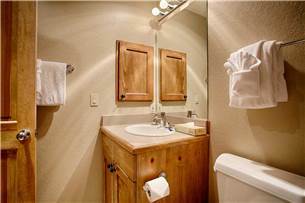 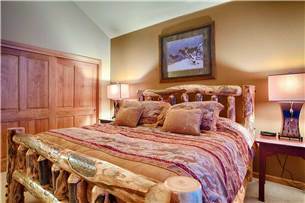 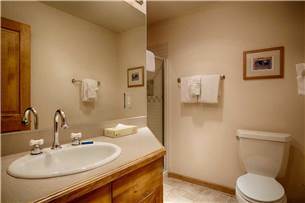 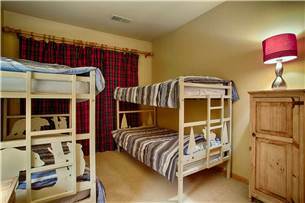 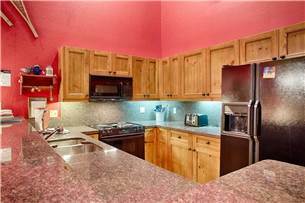 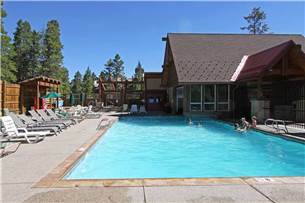 Amenities include DVD player, complimentary Wi-Fi, gas fireplace, washer/dryer and a heated garage. 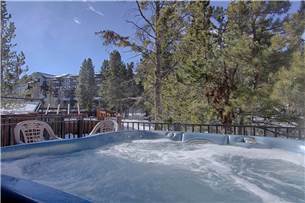 Soaking in the private outdoor hot tub is also a great way to relax after skiing. 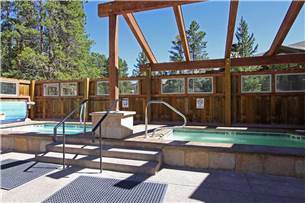 Guests will also have access to the Upper Village outdoor heated pool with indoor/outdoor hot tubs located just behind this unit.